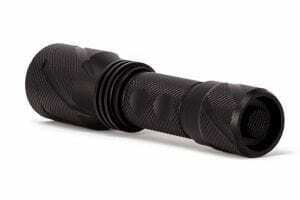 The Laborer Flashlight is a small, compact high lumen every day carry light that can easily be carried on hunting trips. 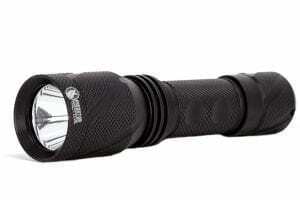 It produces a mind-blowing 890 lumens of bright white light. It is built to stand up against the toughest work environments to give you peace of mind with its ability to work as hard as you do. The Laborer Flashlight can be powered by a single 18-650 rechargeable battery or a pair of cr123 batteries.